Description: Gunner is Gambler's best friend. They follow each other and foster mom everywhere she goes. Gunner has all the same manners as Gambler but he is a little bit shy. He is house trained, not food aggressive, has had no accidents and he does well with all people and even guests and loud noises (they live with four kids!) Gunner also likes to sit by the table during meal times but doesn't beg. 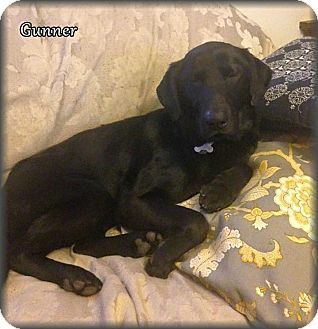 Gunner is a talker and he will bark sometimes if foster mom goes upstairs without him and talk when you pet him. 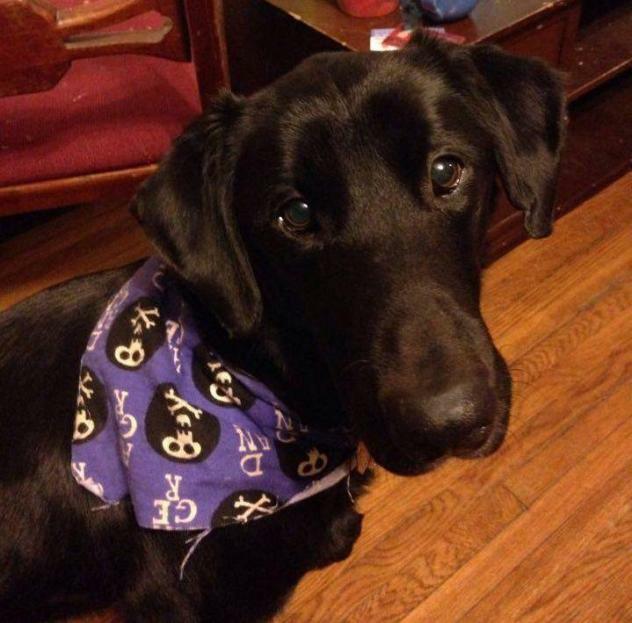 Gunner & his brother Gambler are extremely bonded to one another & were rescued together. It is our hope we can find a home where they will be able to stay together. They are two peas in a pod and very best friends. 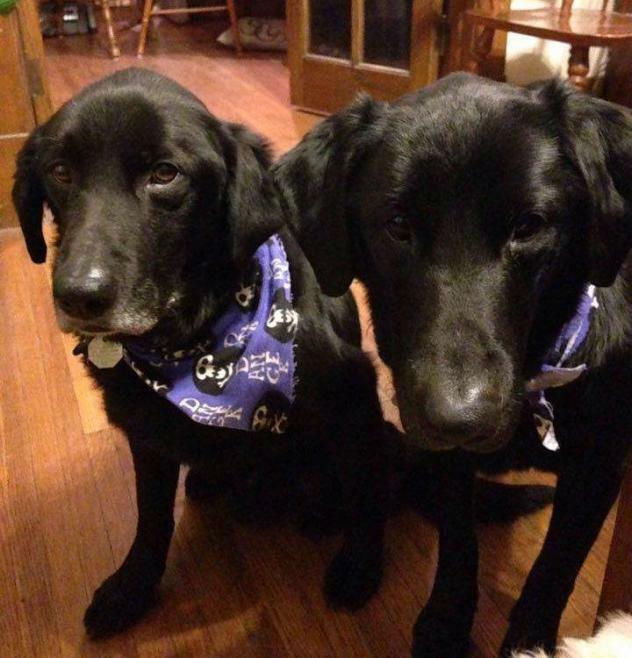 They are Flat-Coated Retrievers, 2-3 yrs old and both weigh 42 lbs. 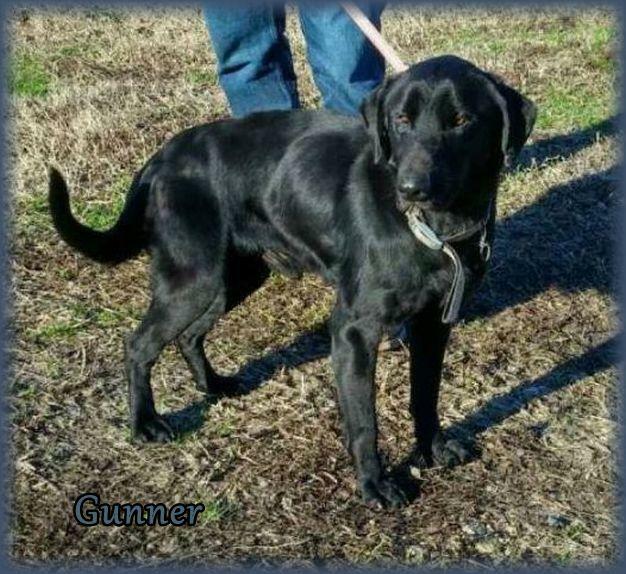 Gambler & Gunner are neutered, vaccinated, microchipped, given flea/tick preventative & dewormed. Adoption fee for the pair is $450. Not only did Dolly's Legacy save them from being killed at a rural, high-intake shelter, but we provided life-saving treatment for them to cure them of heartworm disease. They will need to remain on heartworm preventative for life, as is recommended for ALL dogs. These boys are truly special!